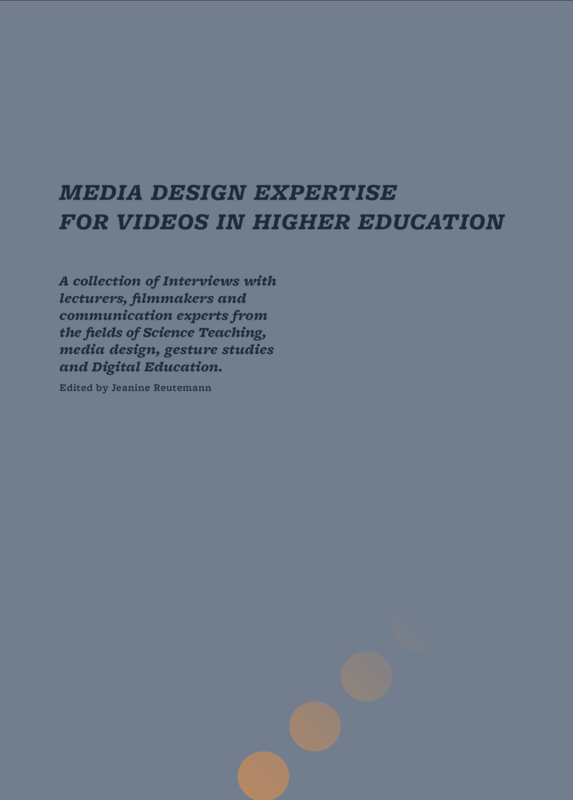 This book presents sixteen in-depth interviews held with a diverse group of experts in the context of the research project “Audiovisual Media Design for Higher Education” between 2014 – 2017. The interviews where motivated by the fact that today, videos play a larger role in higher education than ever before. Yet there are no established standards, leading to many home-brewed productions at universities and accordingly, quality differs widely. Moreover, most existing research on educational videos focuses on the impact of technical features on easily quantifiable metrics, while an inquiry into the performance of educators, the role of media design and the transformation of scientific data through the media of moving images is largely missing. Hence, research into educational videos frequently ignores existing knowledge from other, adjacent disciplines working with moving images, such as media or film studies. – most crucially – adjusting the entire process to the individual performance and preferences of the speaker. The expert interviews presented here address those issues. The precise interview questions were tailored to each expert, following a general structure: Each interview started by locating the expert’s standpoint in the field, followed by questions on the performance and filming of talking heads and how they relate to the affordances of the audiovisual media. Further topics of discussions in- cluded the relation to other film genres, history and future of scientific educational filmmaking and the move- ment of Massive Open Online Courses (MOOCs). This collection of interviews is meant to reflect the current landscape of university productions and advance scientific educational video development in the future. Pushing the REC bottom is easy. Everything that comes before and after, is slightly more challenging.